Reiter Park is the heart and recognizable identity of Longwood’s Historic District. Its location as the terminus of Church Street and being highly accessible via the SunRail station makes it the key destination of the district and City. 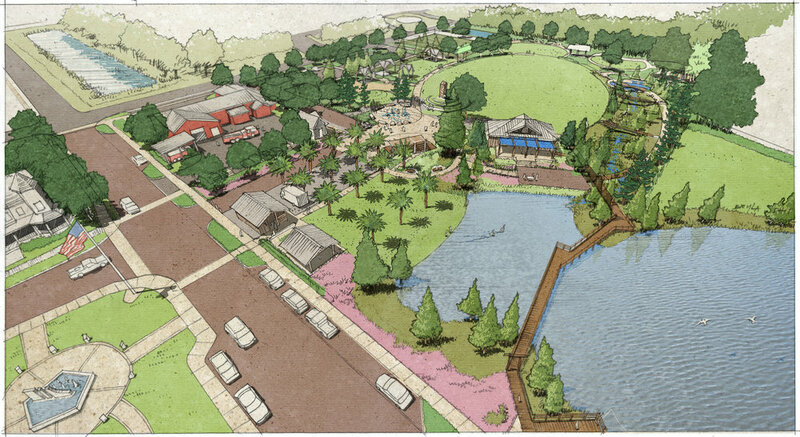 New elements such as the amphitheater and stage, event lawn, wet deck & restrooms, walking trail, boardwalk, healing & sensory garden and playground expansion will become the outdoor living room for public life offering a myriad of activities. All spaces are open air and designed to accommodate a variety of activities, group sizes, and offering something at all times of the year.